The Bavaria Cruiser 33 is an excellent sailboat for your next sailing holiday in Croatia. Featuring 3 cabins and accommodating 7 guests, the Bavaria Cruiser 33 is both comfortable and spacious. 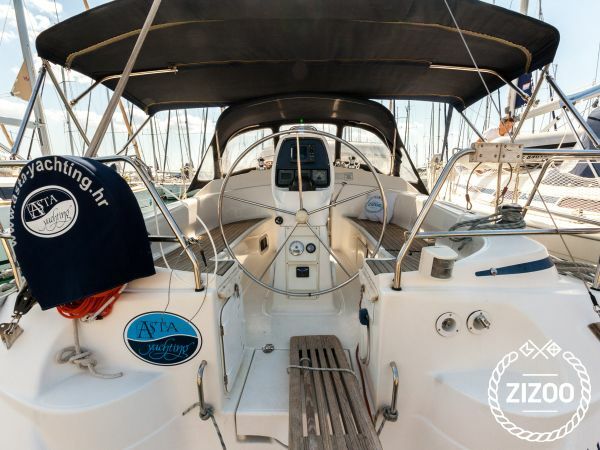 This boat is perfect for a family holiday or a fun family escape, making it the ideal boat to set sail in and for sailing through the crystal waters in the backdrop of your dream holiday in D-Marin Marina Dalmacija (Sukošan). The Bavaria Cruiser 33 is located in D-Marin Marina Dalmacija (Sukošan) is a splendid sailboat, built in 2013, making it a relaxing option for discovering the beauty of Sukosan. Enjoy the sea and book now!. Sehr guter Preis und exzellenter Service.